Video: How Will CDNs Meet Next-Gen Media Delivery Requirements? 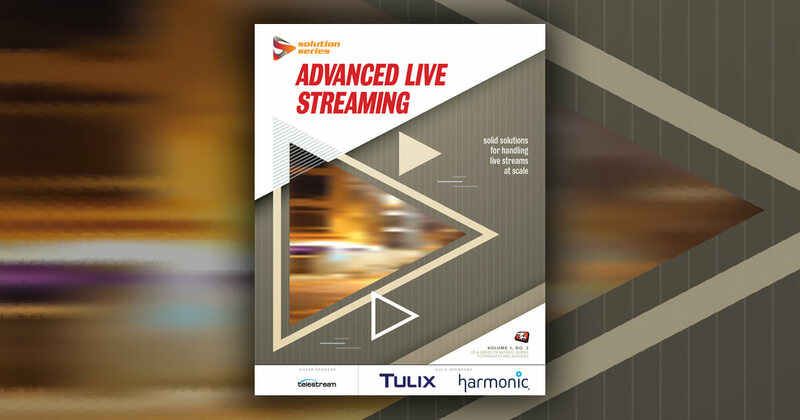 Learn more about content delivery at Streaming Media's next event. Marcus Bergstrom: For CDNs, I think what we really need to do is to start decoupling the edge CDN part of delivery from the platform piece. You cannot build a stack optimized for a use case and then force another application to use that same optimized stack. I think it's a mindset of decoupling CDN as an application from down-the-line infrastructure. Remember, I'm not talking about optimizing just bit delivery. If CDNs are going to survive in capturing the new revenue streams that are coming out there, whether it's IOT or edge cloud or whatever we call them, you need to have a fundamentally different mindset in terms how you view your CDN solution and application. You still need, from the edge delivery side, a global deep footprint inside an operator’s network. It can't be in a neutral facility. It also needs to have an underlying platform that has all the characteristics of automation, self-provisioning, and be able to support a multiple of different applications. Another statement I would like to make is if you think about compute at the edge, and talk about having just four data centers in North America, it’s probably enough for delivery. You could probably get down to 30-35 milliseconds downstream bit delivery by having four major data centers with the right peer relationships in the US, which have fairly developed infrastructure from coast-to-coast. If we’re talking about sub-10 milliseconds and the distribution you need and the footprint you need at a global scale deep in an operator’s network, it doesn't only become financially impractical, but also becomes just time-wise impractical to build that out yourself. If you're going to build out thousands of small compute pops across the globe, which EPUs, TPUs would you need in order to support the new workloads, and what would that cost? I know there are companies out there that financially have the muscle to do it, but not necessarily the time it would take to do it. The only way to really be successful in this new ecosystem, with its new requirements, is through partnerships. Remember early on in the presentation I talked about the imperfect value chain and the broken ecosystem where service providers are not included in the delivery chain. I think the US is probably one of the countries where it's better than others. If you think about from a global perspective as well, if you do not incentivize a service provider for partnership to participate in the delivery chain, why would it help you to optimize delivery to the end user? For an application developer perspective, the service provider network, and that's why network has really been a black box. You don't really know what's going on in it. You don't really have access to the service providers. At Ericsson, we love the service providers, but we are very big so it's hard to find the right person. A CDN has been a guy in the middle, sort of shielding both sides from each other and optimizing for itself. That has worked for CDNs because of the peer relationship. As we move into the new era of CDN or edge cloud computing, it will require a completely new type of collaborative approach.